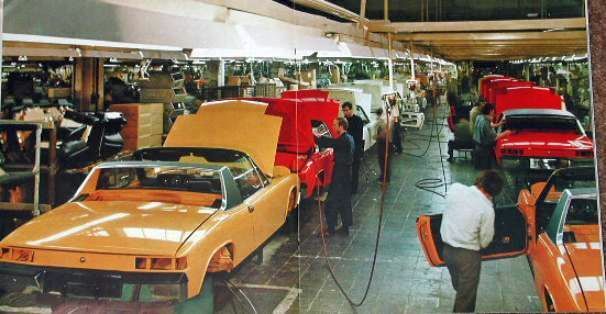 914World.com > Do we have a factory pictures thread? Full Version: Do we have a factory pictures thread? This one got posted on Facebook recently, the original poster speculated 1969, and the body color bumpers on the 914s supports that. Rear lights look Euro spec to me. The above picture is from the centerfold of the June, 1970 Christophorus, Porsche's factory magazine, which is published in German every other month (Jan, Mar, May, Jul, Sep, Nov), then interpreted in English on the even months for distribution for English speaking countries. The photo was taken about March for the May issue in German first, then interpreted for the English June issue. The detail is great! You can actually read the tachometer red line which shows it to be at 5600 rpm. If one wants a copy, just remember that Porsche owns the copyright..........and you know they are very sensitive on copyright infringement. It's best to buy your own issue. Every now and then a June copy will pop up on ebay,....... buy it. It's very cool in a frame! so many subie swaps, so little time! Many euro cars without the side marker lights. Picture #6 is getting pre-conditioned for rust. 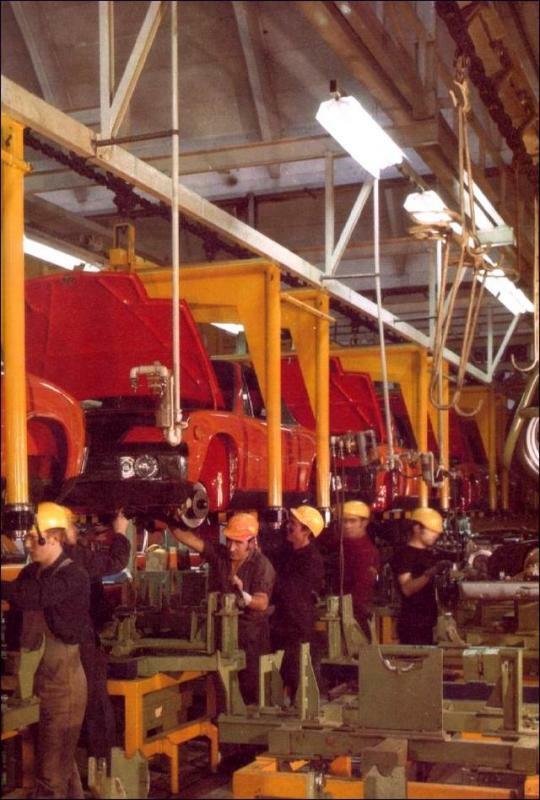 It is interesting to note that the white 914 in the foreground appears to have outside mirrors mounted on both sides of the car. Also of note what seems like an almost total lack of radio antenna. I don't see wiper blades. Maybe in the trunk with the hubcaps? As I further examine the pic, the second white car has PORSCHE lettering on the engine grille; that one might be going to the US. The 6th car back in the row on the left (orange) looks like it has an antenna installed. Love that they are sitting outside in the rain. They were rusting before they were ever sold to anyone. Why do some not have vinyl on the sail area? The blue on in front and a white one on the train. Awesome photos! They're npn-appearance group. You can see the white one's body-colored bumper. That's how the early ones came stock, though most were up-sold to chrome and vinyl. Seems they got wiper arms and hubcaps pretty late in the process. The non-apperance group looks better now than the more upscale ones. Is the blue one in the foreground missing the rollbar trim or is it painted body color ?? The ride height is fairly high. First factory picture of an installed right side mirror I have ever seen! This one is kind of relevant. 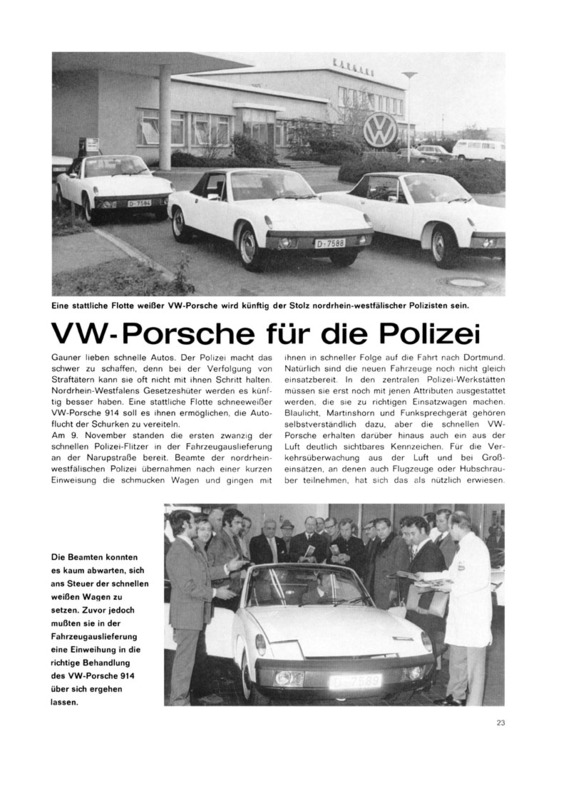 An impressive fleet of white VW-Porsche will continue to be the pride of North Rhine-Westphalia police. Crooks love fast cars. The police makes things difficult, because in the prosecution of offenders, they often can not keep up with them. North Rhine-Westphalia law enforcement officials will in future have it better. 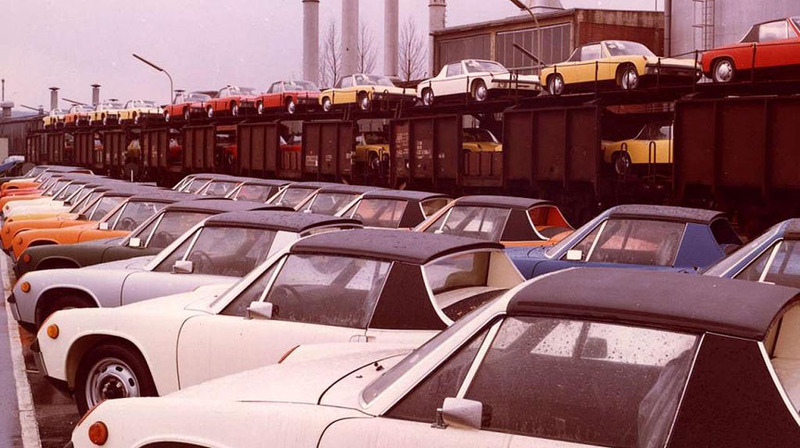 An impressive fleet of snow-white VW-Porsche 914 is designed to enable them. the auto-alignment of the villains thwart. Officers could not wait to get behind the wheel of fast white car. 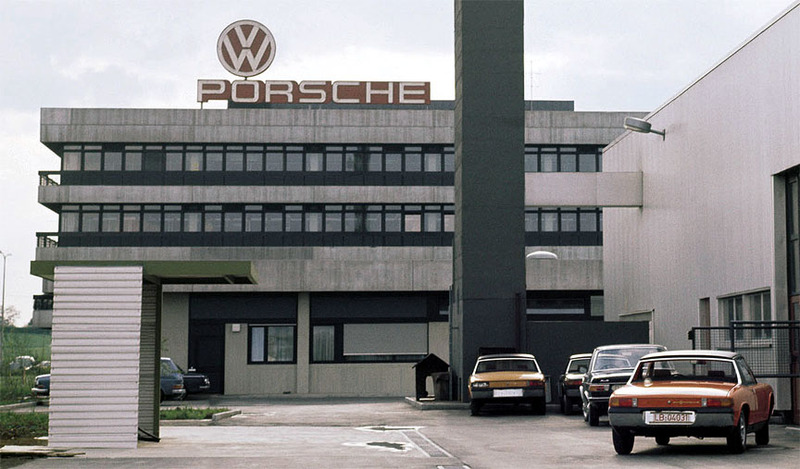 She first had to undergo an initiation into the delivery vehicle in the proper treatment of the VW-Porsche 914 is over. 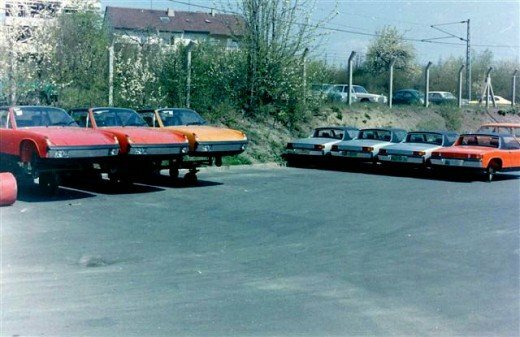 Not pictures but a film from 1971 showing different VW test tracks etc, not all about 914 but some 914's can be seen here and there. Prepare for a 33 minutes long watch! 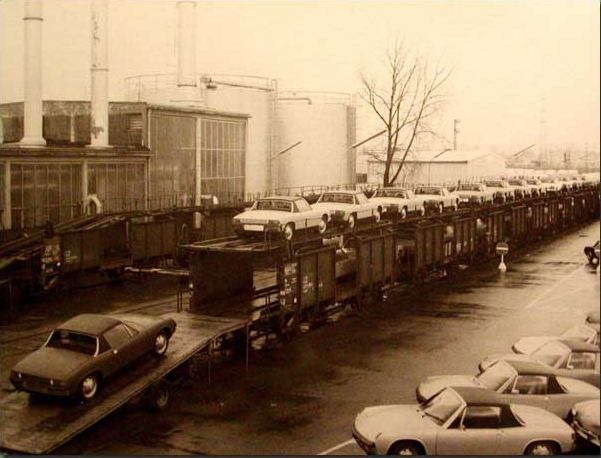 Looks like to me that the 914's on the train are being shipped around Europe while the lower ones are going to the US as they have the front puck lites and no hubcaps. The cars on the ground have side reflector lights, where as the ones on the train do not. Didn't the cars sold in Europe come without the reflectors and the ones sent to the US have them? Didn't the cars sold in Europe come without the reflectors and the ones sent to the US have them? Euro 914s had no side markers (reflectors in your terms). US 914s DID have side markers - all of them! Plain and simple as that. Hope that answers your question. Is that a passenger side mirror on the closest white 914? Hmmm, factory installed!!! Rarely seen on a factory deliverd US 914. I would love to see a window sticker showing passenger side view mirror. That would be cool! Track test probably in -69 and maybe not at the factory circuit. There seems to be a string or something hanging down under the car...? That is the factory oil drip simulator . Yes. There's a old thread about that picture. The large two page spread printed in DGVWPB has the image flipped but the large copy you posted above has been corrected. The smaller copy you posted is still flipped. 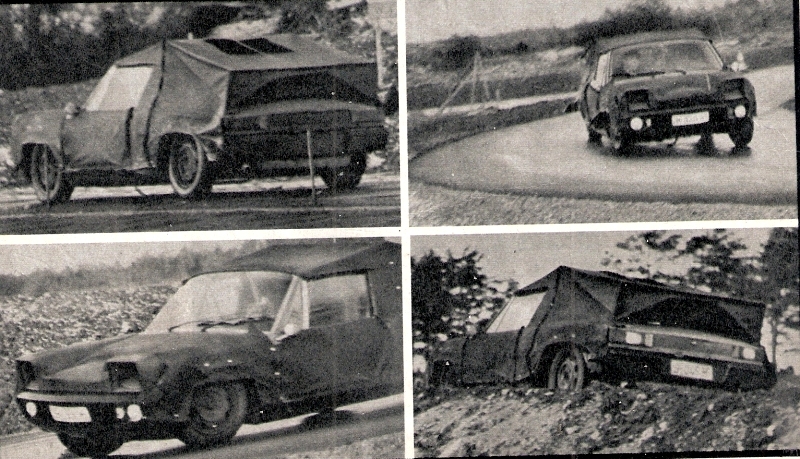 So, the crash test vehicle was a six.........probably one of the prototypes?